As a kid growing up in the country, biking around rarely consisted of anything outside of our single-street neighbourhood. That infrequency dropped off a cliff when I moved into the city and didn’t even own a bike for roughly a decade. But, as destiny would have it, my parents bought me a bicycle as a farewell present when I moved to British Columbia. After a few years of living in the incline-challenged neighbourhoods of South Vancouver and Burnaby-Deer Lake, I relocated to a flatter part of the Lower Mainland, and my love for casual cycling exploded. First off, the amount of agency that comes with having a bicycle is phenomenal. There’s no texting to see when the next bus comes or having to hail a taxi; you just hop on and go. Going somewhere that’s off the major transit routes? No problemo. 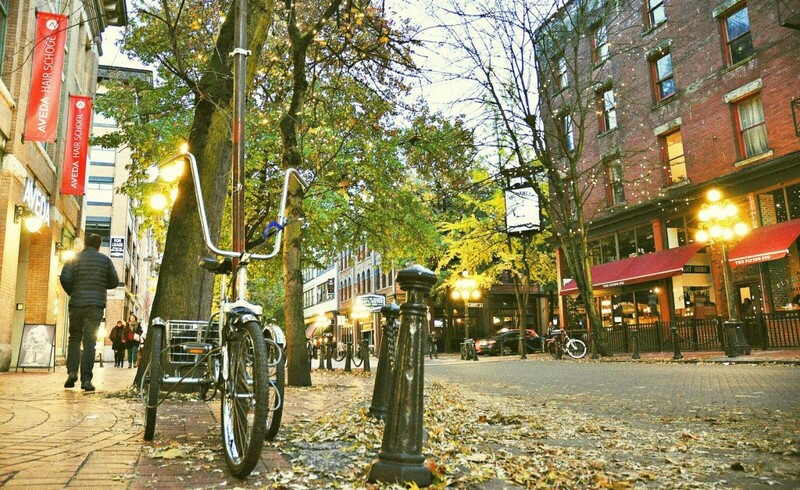 Bikes can get you there, and usually in less time than it takes to bus anywhere in Vancouver. You also get to avoid transit during the summer months, when buses feel like humid mausoleums. We’re also living in one of the most bike-friendly areas in Canada, and Vancouver has fully embraced this. All across the cit, there are designated bike routes along traffic-calmed streets to minimize other vehicles, and the city has installed countless bike lanes, especially around the downtown core. There are also more bike racks popping up around the city, and lots of major events now have bike valets to make locking up a breeze. Biking also allows you to easily explore different parts of that city that you’d normally drive or bus past. I lived in Vancouver for years before I started biking, but once I did it gave me an entirely new perspective on the city’s layout. Whenever people from out of town come to visit during the summer, my favourite thing to do is take them on a bike ride around the city. “But Jacey, bicycles are so unsafe!” Sure, you read about cyclists who get doored or hit by vehicles, but when you’re getting from Point A to Point B, there are risks that come with every form of transportation. The Vancouver Sun referred to a study of travel-related fatalities in BC and found the average number of deaths across the board (biking, walking, and driving) was remarkably similar. Per 100 million trips, only 14 cyclist deaths were reported—in-between the 15 deaths and 10 deaths for pedestrians and motorists, respectively. Taking transit is technically the safest mode of transportation, though we’ve already established that it is the worst in every other respect. While the rest of my reasons for championing cycling might vary from person to person, saving money is simply uncontestable (unless you’re one of those weirdos who doesn’t enjoy having money). Owning a vehicle is a literal money pit: Insurance alone costs a few hundred dollars a month, and soaring gas prices mean you’ll be spending roughly the same amount at the pump. If you’re transiting, a one-zone Monthly Pass costs $93, with more zones breaking the $100-mark. A bicycle tune-up costs you between $60-70, and you can get away with having them done once a year; most other repairs, like fixing flat tires, rarely cost more than $20. There’s a reason why more people are opting for the bi-wheeled life. I didn’t even mention the numerous health benefits and environmental-friendliness that cycling boasts, but honestly, those are more like happy side effects to how great casual road biking is. So, get out there, get yourself a pair of wheels, and I’ll meet you on one of the bike routes—just maybe not the ones with hills, okay?